Penny Felts and Bill Moore (PRYME's Editor) will be hosting an exhibition of work at The Artery Gallery in Greensboro, North Carolina, entitled INSTANT BLISS. The theme and title of the exhibition is "Follow your bliss," taken from mythologist Joseph Campbell. The concept is not foreign to instant film- the passion that these artists have for old cool cameras, retro photography techniques, and the magical moment of instant film development, is contagious. The event will run starting today, August 7th, 2015, with an artist reception from 5pm to 7pm. The exhibition will close Thursday August 27th. Make sure to attend to see their marvelous instant prints! The Artery Gallery, 1711 Spring Garden St.
RSVP on their Facebook Event Page! Penny Felts is a Nashville, TN, film artist who has shown her Polaroid and other instant film art in America and Europe, and who is published in the book Raw Beauties (Netherlands). She is a lover of blur, soft colors, dreams, and poetry... in life and art. Felts works to interpret her interests using a variety of films, especially expired Polaroid and current Impossible Project or Fuji films... which allow her to shoot images the way she prefers to see the world. Her mother taught her to love cameras, film, and drawers full of old memories. Felts is a self-professed "gypsy, dreamer, ex-superhero, poet wannabe, and starter of projects." Connect with Penny on her website at www.pennyfelts.com and on Flickr! Bill Moore is a Greensboro, NC, film artist and writer who edits PRYME Magazine (USA), the international magazine of instant film art. He has shown his photos at ArtMongerz and Uptown Artworks in Greensboro. 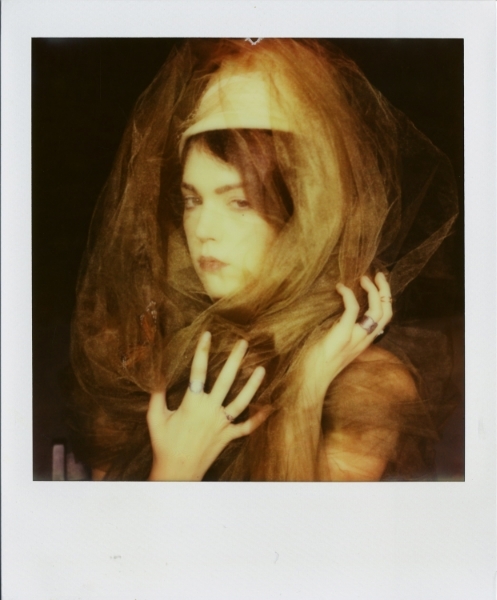 Moore admires and makes pictures of human and natural beauty, sometimes combining the two; he uses various expired and new instant films, from Polaroid to Impossible Project and Fuji. Tortured by traditional arts classes in school, Moore found a growing curiosity and love for modern arts while attending college in New York City. He plans to make collages and multi-media works; photography is a step toward realizing that dream. Connect with Bill on Flickr.